Look-up sunrise, sunset and civil, nautical and astronomical times for anywhere in the world. Get the sunrise, sunset and twilight times for any date and destination in the world. Create reminders from any sunrise to make sure your don't miss out on that wonderful time of day. Create Sunrise details events that you can share with anyone including sunrise, sunset and twilight times. You can share any sunrise with full iOS Action Sheet integration, including all details or summaries, location maps and your notes. With Maps integration you can share the sunrise location or get directions with a single tap. Once you've created sunrise events they are available for you to use even in the remotest parts of the world where the internet doesn't reach. 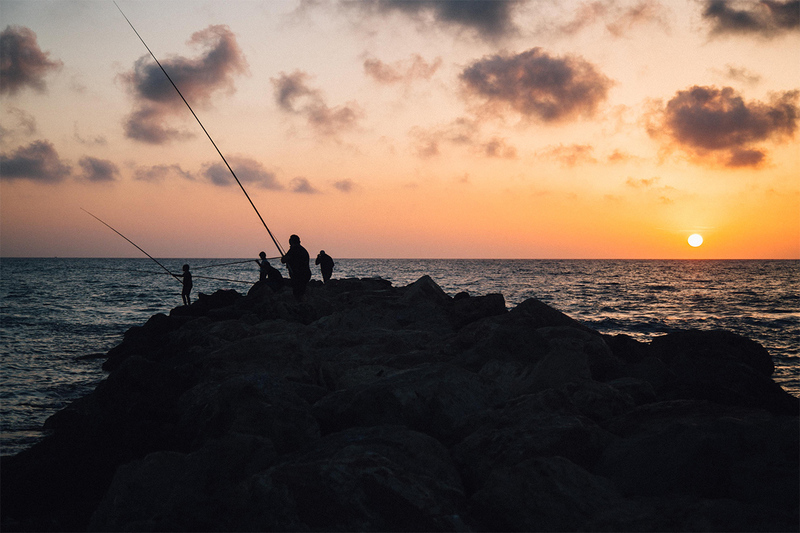 Whether it's to see the first light of the day on your morning run or to catch the first bite of the day fishing or even to take an amazing photo of the sunrise (sunset for that matter) Sunrise Times can help you plan for it. Even if you're on the other side of the planet and haven't started on your new adventure yet. Then it's simple, just pick a location, pick a day and start planning. The first time you open Sunrise Times we guide you through the options and permissions that the app can use. Best of all you can say No to all of them and still use it in a completely manual mode. Sunrise Times provides a list of all current sunrise events you created (and it will automatically clean up past sunrises if you haven't decided to keep them). To quickly see the location of a sunrise simply tap on the Info icon and expand the cell. From the detailed view you can also get directions, add notes, create Reminders or Calendar events or share the days data through iOS's standard Share and Action sheets. Sunrise times has an abundance of settings that you can change to your hearts content. When you launch Sunrise Times it will automatically fetch the sunrise details for your current location and create any new entries for you, starting from the current date. The number of sunrises to fetch from the start date for automatic and manually added locations. The app defaults to 4 days, but you can set it to just fetch the current or specified date up to a full two weeks (14 days). To prevent clutter Sunrises Times removes fetched sunrises after this timeout period, unless they've been marked to keep. The dates and times are normally shown in the locations timezone, using this setting you can change it to show them your devices local timezone (which may mean you see sunrise times showing as 1:36 PM or 2:14 AM which can be confusing). You can choose to create Reminders (which only have a start time and priority) or Calendar Events (which have a start and and time and an alert) directly from within the app. By default Sunrise Times uses a seperate "Sunrise" list or calendar to store your reminders, you can also choose to use your default list or calendar. When creating reminders or events their start time can be set to the beginning of Civil, Nautical and Astronomical Twilgiht which occur before the actual sunrise. The time you want the calendar event to end at, by default it ends at sunrise, but you can also set it to end 15, 30 or 60 minutes after sunrise. The default alert is 1 hour before sunrise, but you can also set it to the sunrise time, 2 hours before, 1 day or 2 days before hand. You can choose from None or the High, Medium and Low priorities typically found in the Reminders app. When creating reminders, calendar events or sharing via messages, email e.t.c. you can choose to include all times, notes and details or the day, a summary of the times or nothing at all. Reminders always displays the alert time in your local timezone, the "Helper" text is added to the notes field in any reminder you create with Sunrise Times to remind you of that as the rest of the times are in the sunrise locations timezone.